The ‘normalisation’ process, the selection of appropriate subject matter and the establishment of ‘obligatory’ themes all led to the distinctive weakening of moviegoers’ response to Slovak films, which is why from the second half of the 1970s emphasis once more had to be placed on film genres which were attractive to audiences. One of the most distinctive examples of this trend was Pacho, hybský zbojník (‘Pacho, the Brigand of Hybe’, 1975), a parody on the theme of Jánošík directed by Martin Ťapák, which even today remains one of the most successful Slovak films in terms of box office success. The film is built around the ‘anti-hero’ – a fictional outlaw named Pacho – through whom the tradition of Jánošík is de-mythologised in a series of witty situations and dialogues. Thus, besides being a well-made comedy, this film turned a lifeless national hero into a fresh part of national folklore. Viktor Kubal continued in this creative trend in his first full-length animated film Zbojník Jurko (‘Brigand Jurko’, 1976). 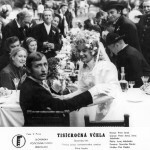 The genre of the popular adventure film with melodramatic love elements was introduced by Martin Hollý in Medená veža (‘Copper Tower’, 1970) and its follow-up Orlie pierko (‘Eagle Feather’, 1971). Both films were set in the attractive environment of the High Tatras and the gripping story, camerawork and excellent cast of actors created a prototype of well-crafted films which were popular with moviegoers. Hollý later continued in this line of subject matter with Noční jazdci (‘Night Riders’, 1981), set in the Polish-Slovak border area after World War I. The Czecho-Slovak historical film Signum laudis (1980), which far surpassed its original intention of being simply a war action film (the story takes place during World War I) became the culmination of his work during these two decades and the film-making symbol of a small man lost in the whirl of ‘great’ history. The historical film continued to develop in the 1980s. This trend was best portrayed by Pomocník (‘The Assistant’, 1981), based on the novel by Ladislav Ballek and directed by Zoroslav Záhon, Tisícročná včela (‘The Thousand Year-Old Bee’, 1983), based on the novel by Peter Jaroš and directed by Juraj Jakubisko, Kára plná bolesti (‘A Cart Full of Pain’, 1985), based on the novel by Ján Papp and directed by Stanislav Párnický, and Zabudnite na Mozarta (‘Forget about Mozart’, 1985), based on the original theme and screenplay by Zdeňek Mahler and directed by Miloslav Luther. Film fairy tales represented the commercial genre on which Slovak cinematography based its international co-operation in the 1980s. Thanks to the initiative of Slovak emigrant Ján Mojto and Slovak director Jaroslav Hlinický, a series of co-production films were made with German partners. 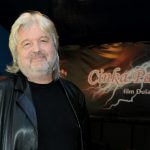 The German partners had a strong production and media background (Ján Mojto held the decisive position in the group, which was run by German media entrepreneur Leo Kirch). Thanks to these co-productions, Slovak filmmakers had the chance to make films in a genre that was difficult in terms of production. Slovak Film Works had a supply of foreign investments which it used for the renewal and development of its technological base and the German partners acquired a collection of works with an application in television broadcasting on beneficial terms. Many films from this series did not exceed the level of the first-plan illustration of the fairy tale story. The only director who was able to make the leap from fairy tale to film metaphor was Martin Hollý in his film Soľ nad zlato (‘Salt More Than Gold’, 1982) which he made as a meaningful analogy to Shakespeare’s King Lear. Juraj Jakubisko attracted attention with his pictorial imagination and situation inventions in the fairy tales Perinbaba (‘Lady Winter’, 1985) and Pehavý Max a strašidlá (‘Freckled Max and the Ghosts’, 1987). Miloslav Luther introduced a powerful interpretation of the fairy tale story in his films Kráľ Drozdia brada (‘King Blackbird’, 1984) and Mahuliena zlatá panna (‘Mahuliena, the Golden Maid’, 1986). Several music films and musicals, the making of which became one of the domains of the emerging generation of film makers, became a part of the commercial film scene of the 1980s. Dušan Rapoš stands out in this genre. His Fontána pre Zuzanu (‘Fountain for Suzanne’, 1985) became a cult film among the younger generation.